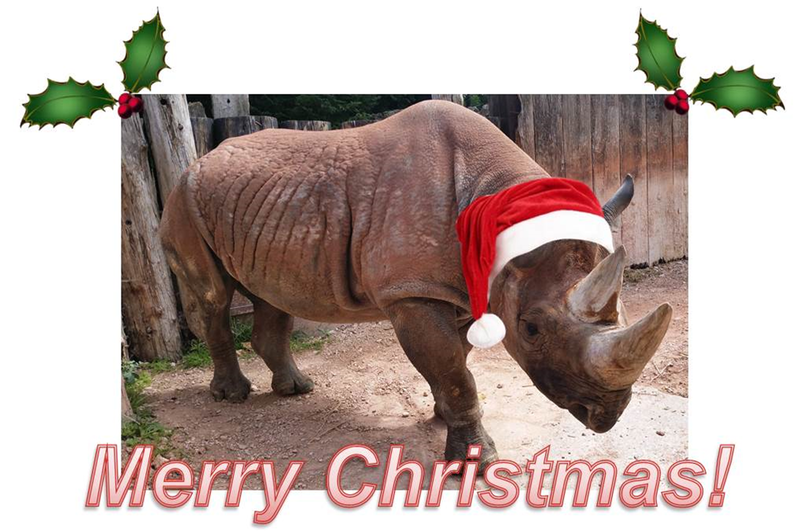 With the period known as the ‘run up to Christmas’ well underway it is slim pickings for new vacancies in natural history. However a number of posts still open in areas such as Norwich, Aberdeen and Sheffield, that have been previously advertised through NatSCA, can still be found here. Deadlines for applications begin early January so perhaps write yours out before you start to suffer from excess-turkey-consumption lethargy. Fans of natural history have a great reason to visit the British Museum at the moment thanks to a new temporary exhibition called Scanning Sobek: Mummy of the crocodile god. Open until the 21st February, the exhibition is just inside the main door and is completely free. It couldn’t be easier! If you are in or able to get to Berlin any time soon, the most complete Tyrannosaurus rex ever found is now on display at the Museum für Naturkunde in a special exhibition called Tristan: Berlin bares teeth. Tristan has only been baring his teeth to the public since 17th December 2015 and I for one am going to visit him asap. There’s a rather festive Underwhelming fossil fish of the month blog, complete with santa hat and palaeofied lyrics to a well known Christmas favourite, over on the Grant Museum of Zoology blog. Now I’m going to go to sleep (yes I know it’s only 11am) so that Christmas comes sooner. That’s how time works. 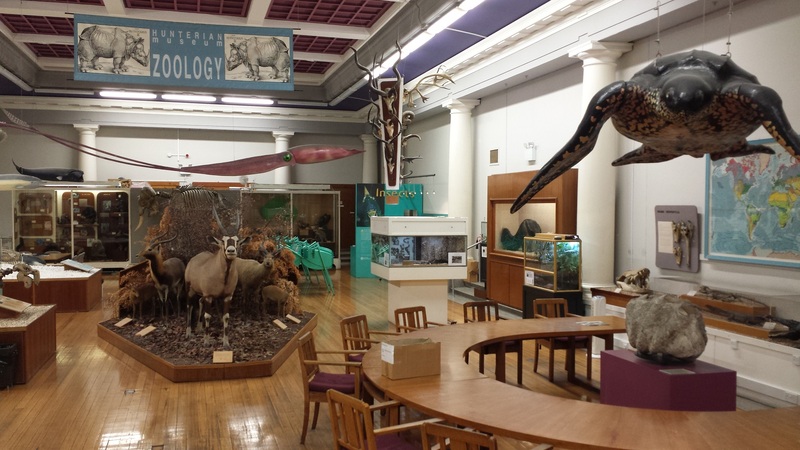 The third week-long placement of my HLF Natural History Curatorial Traineeship took place at The Hunterian Zoology Museum, part of the University of Glasgow’s impressive campus. I had visited The Hunterian in Glasgow once before, in November, as part of a meeting with my traineeship mentor, Maggie Reilly, the Curator of Zoology. While before I only had time for a quick tour of the museum galleries, this time I was able to get hands-on with a full project. During 2011, a research team from the University of Glasgow set out to trawl the Porcupine Abyssal Plain, ~4800m deep in the Atlantic Ocean, as part of an investigation into the effect of commercial fishing on the marine ecosystem. As fish stocks are depleted, commercial fisheries are trawling deeper and deeper. Much of life on the sea floor is unknown, and investigating the diversity of deep sea organisms will help us to understand the potential effects of deeper trawling. 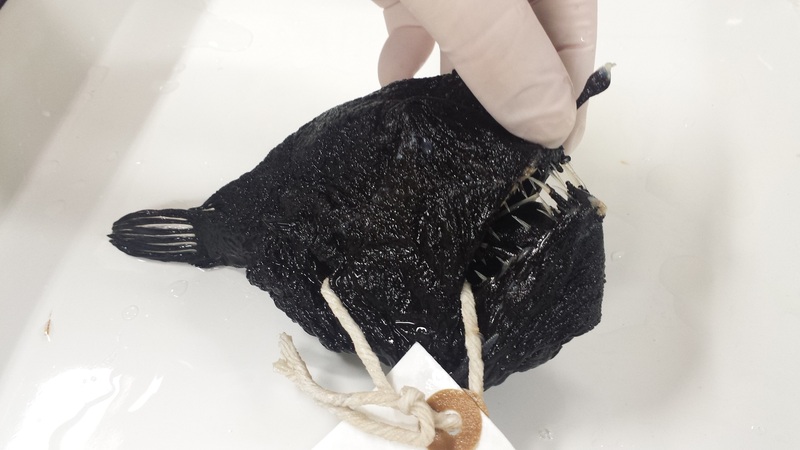 The fish collected during the research cruise were measured (body length, head length, tail length and wet weight), assigned a unique number, labelled, and preserved in a formalin solution. These were then transported to the Hunterian Zoology Museum, to be added to the spirit collection. 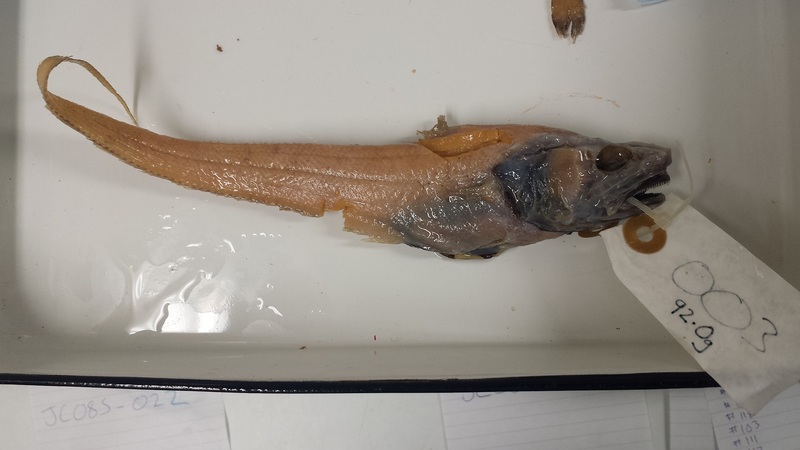 The fish had been identified as well as possible, rinsed of the formalin, and transferred to 70% ethanol solution, but still needed to be separated out by taxon, stored in their own jars (rather than plastic buckets), and added to the museum database. This was to be my task. Deep sea fish are definitely a bizarre and fascinating lot. The collection I was working with contained a wide range of taxa, with ghostly-looking members of the genus Coryphaenoides occurring particularly often. Anglerfish and common fangtooth also stood out for their menacing looks – the former rather closely resembling a scrunched up bin-liner with teeth. Some had been identified all the way to species level, while others were yet to be identified. Who knows, maybe I handled a yet-undescribed species during my time at the Hunterian? After preparing a large batch of 70% ethanol solution, in which the fish are preserved, I set about recording them on the Hunterian’s database, KE Emu. Pulling a specimen from a bucket of mixed fish and laying it onto a tray, I was able to use the unique collection number and site of collection on the label to match it to the records on the research cruise data sheets, which contained the exact location co-ordinates, date, species ID, and measurements. I could then enter this data into KE Emu and assign the fish a unique museum accession number. Once the fish label had dried (though care had to be taken not to let the specimen dry out too), it could be permanently marked with the accession number, before the specimen was sorted into a jar of ethanol by site and species ID. It was fascinating to work with such a wide range of rarely seen species, and served as a good boost to my knowledge of fish taxonomy. Most importantly, I was able to see the true context of the collection – working from start to finish to accession the collection – while using the cruise research data and reports to populate the database enabled me to really understand where these specimens had come from and their value to science. 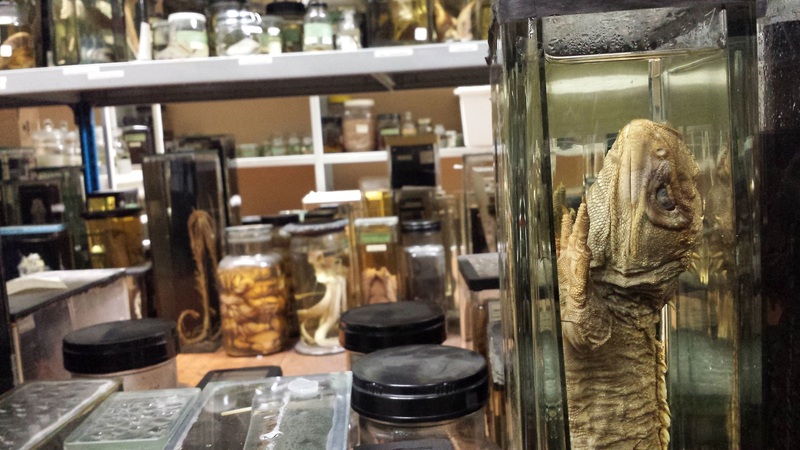 These deep-sea fish will now be housed in the Hunterian Museum, accessible for further scientific research for decades to come.